The Irene Diamond Summer Dance Institute at the Renown National Dance Institute Is a Great Success. For the past two summers SGHY has provided stipends to enable two students to attend NDI’s summer institute. 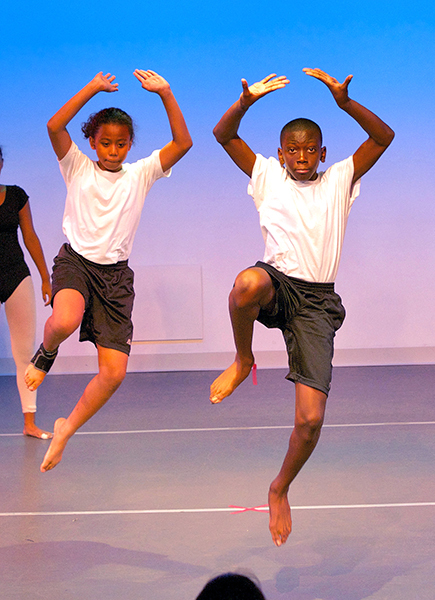 This year SGHY will also sponsor after-school dance programs by NDI for MS 302 and MS 126 students. You learn a lot about jazz, ballet, tap and music that definitely helps everyone in the long run. that it was composed of many different techniques such as tap, modern, ballet, and even stunt. Without music dance wouldn’t be the same. have the same experience that I had with dance. Tagged Dance, Healthy Youth, Irene Diamond Summer Institute, Jacques d'Amboise, MS 126, MS 302, National Dance Institute, Sophie Gerson.